The couple was on its way to the hospital for a scheduled C-section for the birth of their child. Joel Arrona was arrested by Immigration and Customs Enforcement agents while he and his pregnant wife stopped for gas en route to a hospital for a scheduled C-section. After US Immigration and Customs Enforcement agents arrested an undocumented immigrant as he and his pregnant wife were on their way to the hospital for the birth of their child, ICE released a statement alleging that the person abruptly taken into custody was wanted for a serious violent crime in Mexico: homicide. Surveillance video from the San Bernardino Arco station at Highland and Mountainview avenues provided visual evidence of ICE agents taking the murder suspect into custody. 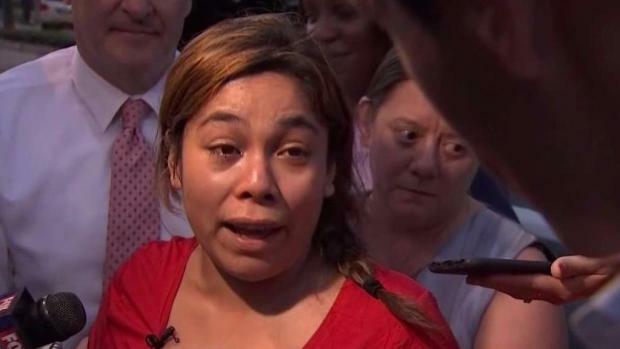 María del Carmen Venegas said she and her husband, Joel Arrona-Lara, were headed to the hospital for a scheduled C-section when ICE agents took Arrona-Lara into custody as they stopped for fuel. The agents, Venegas said, approached the couple and asked them for their IDs, but Arrona-Lara was not carrying his documents at the time of the stop. Venegas said she thought the agents were confused and that they initially promised it wouldn't take long and the couple could be on their way. "I asked them why they separate good people, why they weren't arresting people who do bad things, and I asked them to let us go," Venegas said in Spanish. "They told me they were only doing their job." The agents arrested Arrona, and Venegas was forced to get in the driver's seat and continue to the hospital to give birth without her husband present. "I never thought that they would take him like that, handcuff him, and that they would leave me stranded at the gas station," Venegas said.